This is a follow up video of some other features I reviewed. I make these videos to get info out to the public that is otherwise hard to find or just not there. 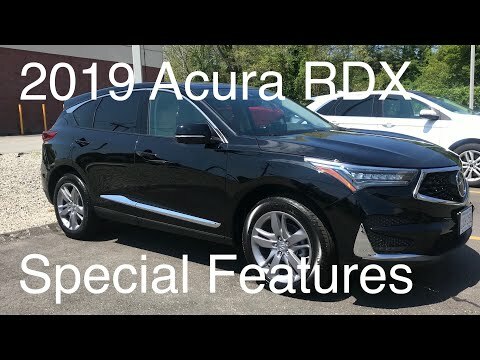 Please leave a question or comment and maybe I can help you with something you may want to know about the car. Feel free to subscribe to my channel as I may be putting out more videos about the car. I’ve also left links to my other videos below. Sorry to my subscribers that I haven’t made a follow-up video to my original reviews. 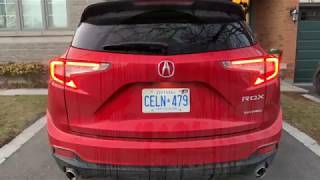 Unfortunately, I was very unhappy with my car because of the glitches in the infotainment system. So much so that I didn’t want to invest any more effort into doing anything with it. 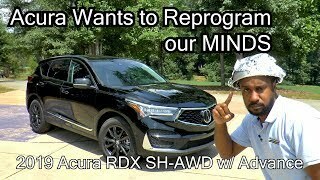 Acura had put out a couple of updates to help improve the problems with it but, I feel they still had a long way to go. Especially with their navigation and integration with CarPlay. Otherwise, the car was mechanically sound and ran well. 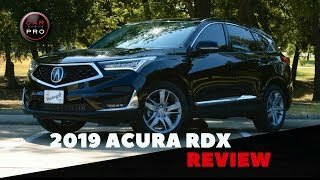 As of a few weeks ago while I was getting my oil changed at my Acura dealer, I was speaking with the sales manager about my disappointment with the car and that I don’t even like getting into it everyday. 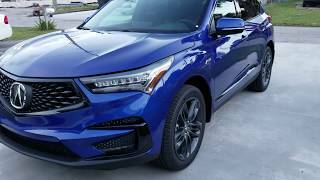 After some discussion, three days later I was driving away in a 2019 MDX Tech. All I did was exchange keys as he was able to make me a good enough deal where my payment wouldn’t go up at all. I’m sure he didn’t want to lose my business as I’ve bought a few cars through that dealership. Besides, he made a profit too. I couldn’t be happier with what I’ve done as I’m loving getting in my car everyday again. 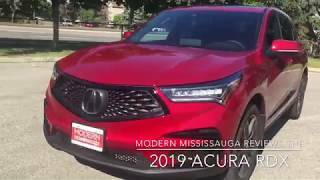 Although the MDX is getting dated, everything works as it should without delay or problems. I’ve owned a few of the older Acura styles from the past so being back in a car with the double screens is like coming home. I’m glad they are back. 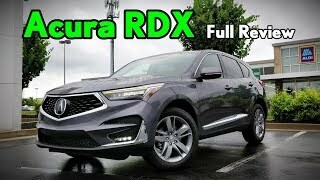 If any of you have purchased the new RDX, I hope you have better luck than I had. 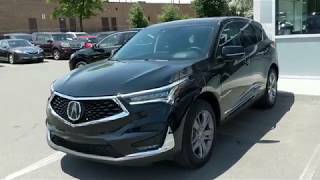 Catman 70 I’m thinking of purchasing my mom either the 2019 RDX or MDX. 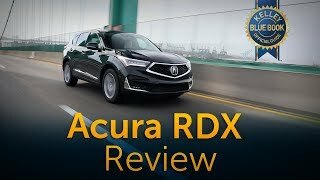 Were the glitches that bad on the RDX? They both have the exact same features at their top trim level right? Thanks for the video! The side mirror feature has been around for decades. 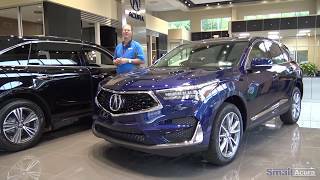 =/ Don't know if its the first for acura but dont think so. how do you like he LKA on higher speeds... does it steer the car automatically in place? 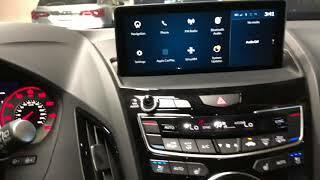 Many people states that the infotainment system freezes a lot. Did this happen to you? Neato! 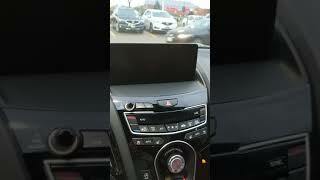 No wireless charging though.... booooo Acura! Thanks for sharing these details. 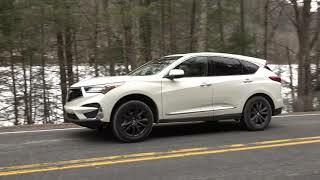 How would you rate the overall driving experience and quietness of the car at highway speeds? Thanks and I agree the details you showed were very interesting. 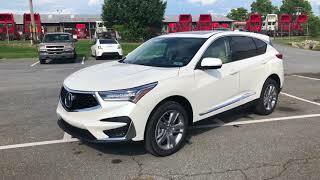 Thinking about getting one and it would be the Advance package with SH-AWD because I love all the tech. 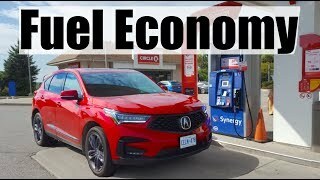 Years ago I did own a 2004 MDX that I was happy with, sold it to a friend and they have around 150,000 miles on it and still love the vehicle. 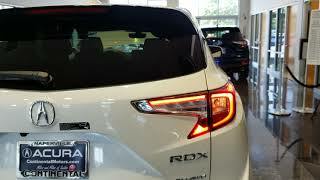 Wish the rear turn signals in the RDX were LED and not incandescent. May have to mod it if I get one. Thanks again for the video. is there an eco mode? Great video, Thank you. May I ask you how the adaptative cruise control works on the 2019’s vs previous model. When the car slows down because you drive faster than the car in front of you, you put your turn signal to overtake and you move to the left lane, the car keeps slowing down instead of accelerating. That was very annoying compared to some Volvo, BMW or Audi systems. 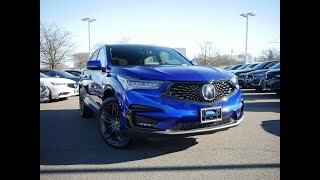 Hope Acura improved it on the 2019 model. Thank you for you feedback. I haven't figured out what the lower area of the center console is for. What do you use it for? 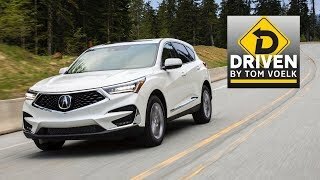 +Catman 70 I've seen many reviews where they mention "soft brakes" on the 2019 RDX. What do you think about the brakes? 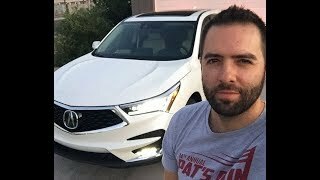 I'm leasing a 2017 RDX Advanced and I like the brakes on it. My lease ends this year and I'm researching my options in advance before getting a salesperson involved. So I appreciate your replies. +Catman 70 I'm talking about the area under the transmission knob/buttons - the big open area. You mentioned that it has a rubber surface. Is it a wireless charging area? David Moore if you’re talking about the large knob, it’s to change the drive modes. Snow, comfort, sport, sport+. Two questions: What does the button on the top right of the touchpad, to the right of the home button do? Looks like a partially depleted battery. Secondly, is there a way to turn on the around view camera without being in reverse? I use it for pulling forward sometimes to get closer to things. Most cars have a separate button which we can activate below certain speeds. Thanks! +Catman 70 Thank you so much! I appreciate the work you have put into these videos! Thank you so much for the detail! These are the things I want to see more in reviews! Will done sir! How did you get your mpg to go up to 25? What's your secret? How hard is it to work the entertainment system with that touch screen configuration thing? Good video. One question, do the side mirrors fold in? +Catman 70 Ah, damn. Was hoping for motorized. Thanks. Good stuff! I take delivery of mine in a few days. Does the car have auto folding side mirrors? +Catman 70 I heard. What I don't get is how hard it is to offer one model feature wise for the whole world? Just make all the features available for everyone who's interested. Oh well, maybe next year. How do you change the setting of the zoom level in the navigation screen? It always reverts back to 500 ft.
Subscribed! Great video, you include the details most others leave out. Does the mirror switch have a middle setting so both mirrors tilt down when you put it in reverse? Ken Coleman the mirror does have a middle setting but, it will make it so neither mirrors tilt. Nicely done with helpful information. Do the rear seats recline? Excellent info I haven't seen elsewhere while researching which car to buy. Thanks!